NFL wide receiver who was signed by the San Diego Chargers as an undrafted free agent in 2004. He earned All-Conference honors while attending the University of Wyoming from 1999 until 2004. He had one of his best seasons in 2011, when he averaged nearly 20 yards per catch. His older brother, Malcolm, also played wide receiver in the NFL, and named his younger brother after himself with their parents' blessing and a slight spelling change. 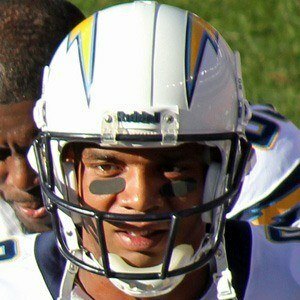 He became teammates with quarterback Philip Rivers upon joining the Chargers in 2004.